America offers lessons on how developers can attract and keep prospective residents while increasing income through apartment amenities. 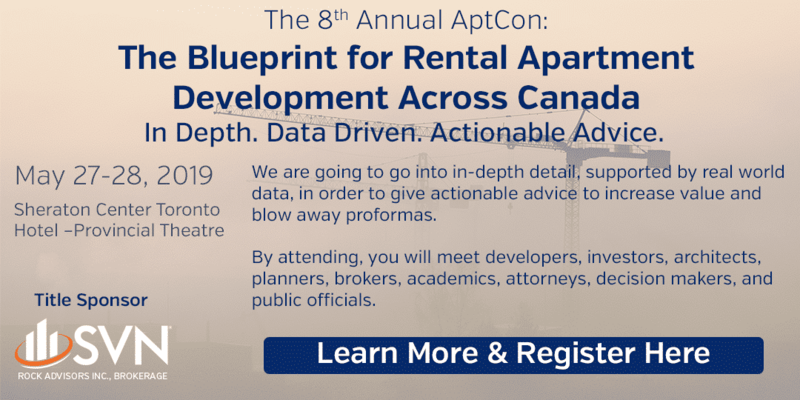 As the Canadian purpose-built rental apartment industry grows, apartment developers are under increasing pressure to innovate. Rents may be rising, and vacancies may be dropping, but competition is increasing. Developers hoping to gain an edge need to look for ways to make their buildings extra special. Success means faster lease-ups, higher rents, lower vacancies, and lower resident-turnover, resulting in a higher value building. New apartment developers already understand that adding top-line amenities to their developments can provide an edge, but what amenities are the best ones? What special features will attract higher rents and the best return on investment? Canadian developers are still learning the ropes when it comes to providing high-end luxury purpose-built apartments. For a better idea of how to position their new developments for the rising luxury apartment market, few would do better than to look at developments south of the border. It used to be that providing premium amenities only meant building large closets into apartments or adding granite countertops to kitchens. American developers, however, facing demographic changes and savvier prospective residents, are increasingly thinking outside the box when it comes to selling high-end apartments. New technologies are offering a way forward, but perhaps the most significant return on investment comes from offering prospective residents not just an apartment to sleep in, but a vibrant community to live in. promise of safe and secure living space provides the bedrock. A way to emphasize this security is the use of electronic locks and voice-controlled lighting. Many are already familiar with these devices from visiting hotels, and a study from the American National Multifamily Housing Council suggests that as many as 55% of prospective residents were willing to pay more for such a feature. Beyond this, an apartment developer could offer a full home-security system to prospective residents. Not only would this offer peace of mind, but it could also provide an additional revenue stream for the building, akin to renting out parking spaces. Premium amenities don’t have to be physical items. A building that promises to make living easier through services like secure mail and package delivery, a system that to accept packages and notifies the person when they arrive home via a text message informing them of a delivery. A survey system that monitors resident concerns and promptly and openly addresses them will turn prospective renters’ heads. Too many landlords try to avoid contact with renters as much as possible, so an apartment building whose management engages with the community will have happy renters and lower turnover. Renters are happier in buildings where they don’t have to wait for things. Long gone are laundry rooms that are sources of frustration when too many renters use the facilities at once. Today developers offer a full-size washer and dryer sets within each apartment. Icemakers and above the norm appliance packages impress prospective renters and increase potential rents. Location still trumps many prospective residents’ considerations when it comes to choosing where to live, but developers can make things more tempting by building in services that the development might otherwise be far from. A well-stocked grocery store on the ground floor will not only provide commercial revenue, but it will also shorten residents’ commutes as they head home for supper. A news café provides a valuable social space within steps of residents’ front doors. Impressing renters may also mean impressing the renters’ friends and colleagues. Not only should the exteriors of buildings and the path from the lobby to the apartment make a good first impression for any visitor, but good communal amenities also promise prospective renters the chance to entertain. 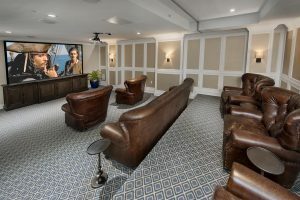 New developments in the United States are offering buildings with catering kitchens including chef-quality appliances, mail centers become gathering places, and coffee service for residents and multi-media rooms with top-notch entertainment systems add virtual golf and boxing rings add more value to a fitness center. Outdoor entertainment areas with grills that include private spaces and firepits show that the apartment building is a fun place to be. A building that promises to enhance a renter’s social life will reap the rewards of higher rents. Ultimately, premium apartment buildings are offering more than just a space to live, they are offering a lifestyle, and this is what more prospective tenants are looking for these days. A study by the National Multifamily Housing Council in 2017 found that 60% of renters wouldn’t consider leasing in a building that didn’t have a swimming pool. In Chicago, the presence of a well-equipped fitness centre in a building raised rents by an average of $60/month compared to comparable properties without one. A building could even offer exercise classes via virtual systems and fitness instructors several times a month. 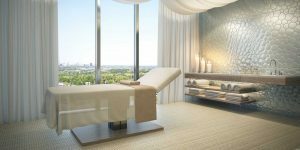 Spa treatment room for massages provides a space to have an at-home massage. The presence of a track or a walking trail at or near the building will also attract attention and push up rents. An enhanced apartment lifestyle can also build a sense of community among residents, and this is something building managers would do well to foster. Regular events like summer potlucks, or movie nights, encourages residents to know their neighbours better and make friends. Not only does this make use of the building’s communal spaces, but residents that have friends in the building will also be more likely to want to stay. Premium amenities come with a premium price tag, and some developers may question if such additional investments are worth it. However, over and above the increased rents, developers should consider the amount of money saved through speedier lease-ups and reduced resident turnover. 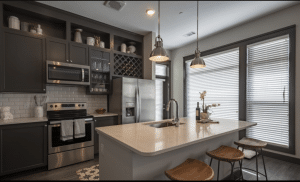 The costs saved from the reduced time sitting on empty apartments, or increased marketing, or preparing vacated apartments for new residents are just some of the ways that apartment developers will recoup the costs of providing these amenities. And if developers choose to sell their development once they build it, these amenities will pay off in terms of higher sale prices. Residents can be intensely loyal to the neighbourhoods around the place they call home. These areas are where they truly live, by making friends, shopping, working and entertaining themselves. Many hate the idea of leaving. There is no reason why apartment developers couldn’t create similar vertical neighbourhoods with their buildings. Happy residents are residents who pay higher rents, and who stick around, making the positive experience a lucrative one to the people who provide it. Are looking for the most successful amenities and features for apartments? Give us a call!